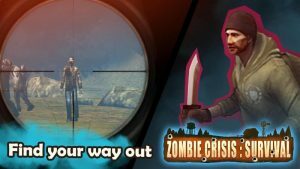 Zombie Crisis Survival is a survival sandbox game. The only objective of player is to survive. The world is facing environmental crisis and zombie infection. You have to destroy zombies and keep discovering in the severe environment to become a winner, and to find out what really is behind the event. Great game , but is kinda hard to get item while the zombie all around it and maybe u should add option so we can adjust a bit. Is little glitch when inside house . Example go through the wall and stuck inside the wall .